Home > New Projects - Pallikaranai > Five Chennai Localities To Buy A Dream Flat In..! 5 Chennai Localities To Buy A Dream Flat In..! 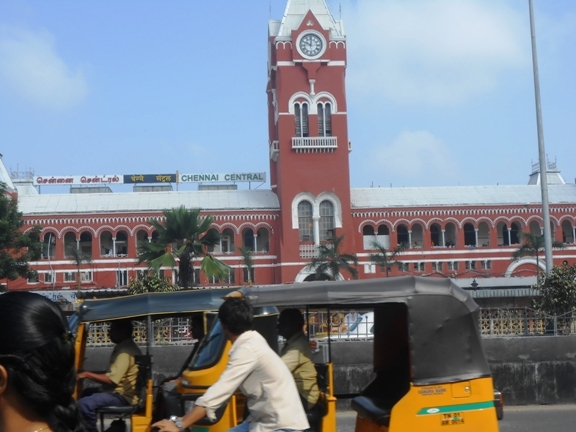 Chennai, a popular property market in south India, continues to rule the hearts of many home buyers. More and more people are showing interest in buying homes in the city after Chennai was listed among the 20 cities to be developed as smart city under the government’s Smart Cities Mission. So, if you, too, have made up your mind on buying a property in Chennai but can not make up your mind on which locality to go for, here is help. Proptiger.com list five localities in Chennai that will offer you a great living experience. A well-developed locality in northern Chennai, Perambur presents a positive picture as far as the residential projects are concerned. Residents of Perambur have access to the finest social infrastructure encompassing renowned educational institutions, healthcare centres, shopping malls, recreational centres and bank branches. Connectivity to other parts of the city is ensured through road and rail networks. Some of the most affordable projects in the locality include Aura Deziner Synergy, Unitech North Town Ekanta, Conceptts Flat II and Unitech Chaitanya. Rajarathnam Cashlin, AP Construction Jayam Homes and Sri Kalpathru Kalpa Vriksh are some prominent luxury projects in the locality. A popular suburb in southern Chennai, Sholinganallur is a hub for major information technology (IT) parks like PSBB Millenium, Siruseri IT Park and Gateway International. Major companies like Infosys, Wipro, TCS and HCL Technologies have offices here. The Rajiv Gandhi Expressway provides this locality a great connectivity to neighbouring localities, while Sholinganallur also enjoys a well-developed social infrastructure. The proposed infrastructure developments in the locality are a sign of the bright future Sholinganallur holds as a residential hub. Elegant Constructions Pinnacle, Silver Line Builders Chemmmenchery, Vermillion Sangamam and Baashyaam Pinnacle Crest are the major affordable properties in the locality; whereas Call Express Construction Ushera, Adroit Urban Artistica, Vermillion Sangamam Villa and ASV Constructions Alexandria are some prestigious luxury projects coming up at Sholinganallur. One of south Chennai’s bustling neighbourhoods, Pallikaranai is a premium residential locality with a robust civic and social infrastructure. It is nestled in close proximity to an IT corridor, the central business district as well as the automobile hub at the GST Road. With the international airport only 12.3 kilometres away and the Chrompet Railway Station 9 kilometres away, Pallikaranai promises a pleasurable commuting experience to all its inhabitants. Key projects in the affordable segment here include Rampon Infratech The Sapthagiri Garden, Puravankara Windermere, SRS Properties Apple Flats and Keerthi Promoters Onella Hive. Luxury residential properties in the locality include Puravankara Windermere and Fairyland Sai Amarantha. Once a small village, Madipakkam has turned into a busy suburb in south Chennai and a major hotspot for residential property development. The locality is close to the airport and the IT corridor and houses key landmarks of the city, apart from offering its residents quality civic infrastructure. All this makes Madipakkam one of the most promising housing destinations in Chennai. Madipakkam is also a hub of plush hotels, shopping malls, recreational centres and schools & colleges. GK Flats Sri Sai Vishnu, Sai Siddarth Constructions Sai Sagar, Brownstone Agate and Ramaniyam Ocean Dew are the most popular housing projects in the affordable domain while Sobha Winchester is a classic high-end residential project worth investing in. Earlier known as Naduvakkarai, Anna Nagar is a famous and sought-after residential neighbourhood in north-western part of Chennai. A superb connectivity to the upcoming Thirumangalam Metro Station and an easy access to the international airport and the central railway station gives a strategic advantage to Anna Nagar over other locations. The social infrastructure of the region entails reputed schools, finest healthcare centres, high-end hotels, shopping malls and recreational complexes. Ben Foundations Maple Orchard, Pace Prana, Pace Park Lane and AP Construction Amiritha constitute the major affordable projects in the locality. Ozone Metrozone, Ozone The Gardenia, Newry Properties Park Tower and India Santhiniketan are some important luxury residential projects coming up in this contemporary residential colony.